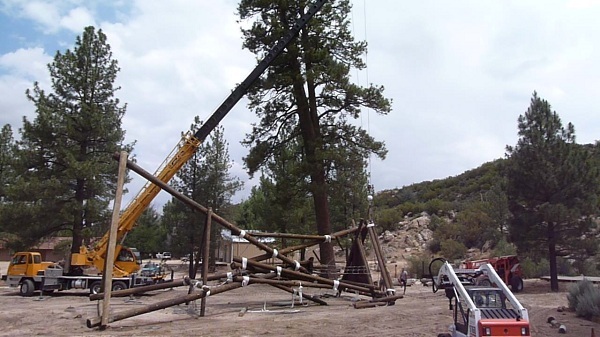 In April, thanks to an exceptionally generous donation from the Perry Family, we began installation of an Alpine Tower and the Team Development Course. We are excited by the new additions and the anticipated programming impact. The top of the soon to be lifted Tower. 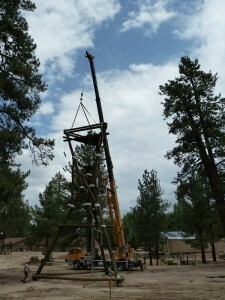 Our new Alpine Tower - soon to be stood-up. 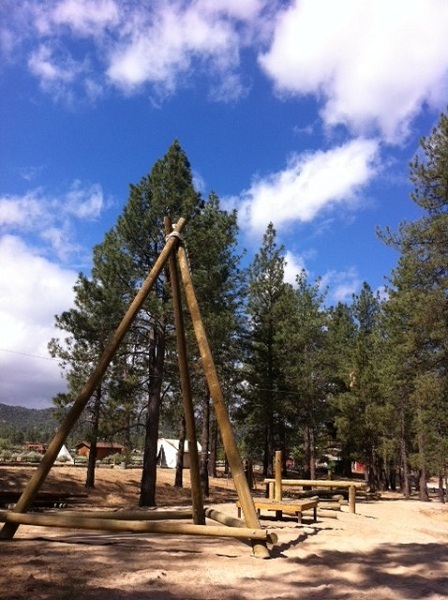 As construction nears completion, excited campers and staff alike have expressed their eagerness to “climb to the top” or be the “first person up there.” We are excited too. It looks much larger upright. The new Alpine Tower will be an integral part of Pathfinder Ranch’s Summer Camp and the Science and Outdoor Education School. Rental and Retreat groups will have the opportunity to add the Alpine Tower experience to their rental agreements. The Team Development Course (TDC) replaces our old low ropes elements. 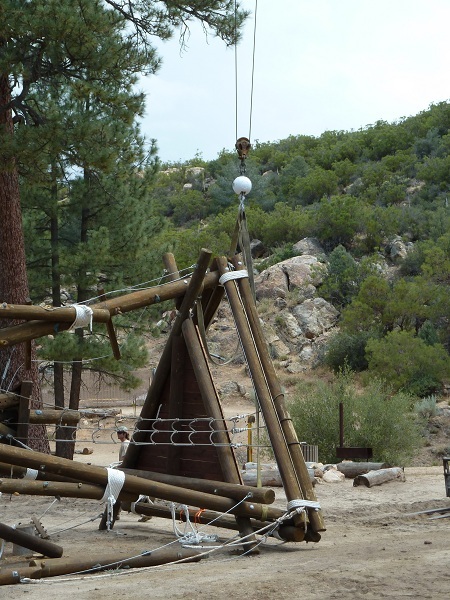 The TDC will be offered as part of Pathfinder Ranch’s Team Challenge curriculum. 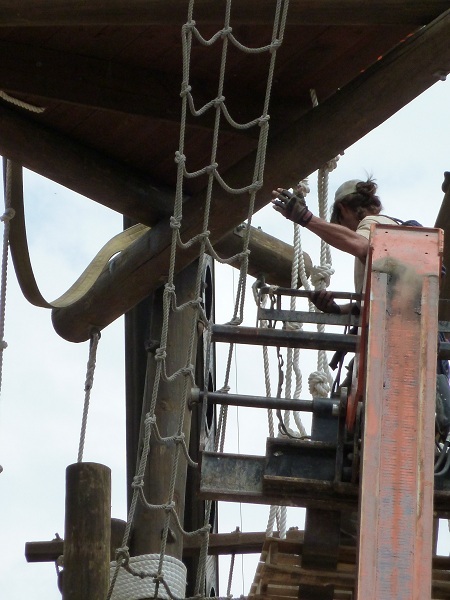 It is sure to afford participants with an excellent team building experience. The TDC is a welcome addition to our curriculum. A member of the ATI crew puts some finishing touches on the Tower. 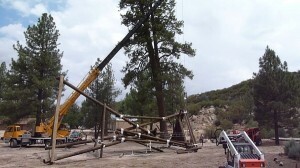 The Alpine Tower and Team Development Course construction will be completed by the end of this week. We cannot wait to put it to work. If your group is interested in a cutting edge adventure education experience, please give us a call. We are excited to help you get to the top.